It is late spring here in North Carolina and perennial bulbs are bursting to life, grass is growing, leaves are unfurling, and brides are heading down the aisle. What better time to talk about one of the most abundant colors in the vintage stamp anthology: Green. 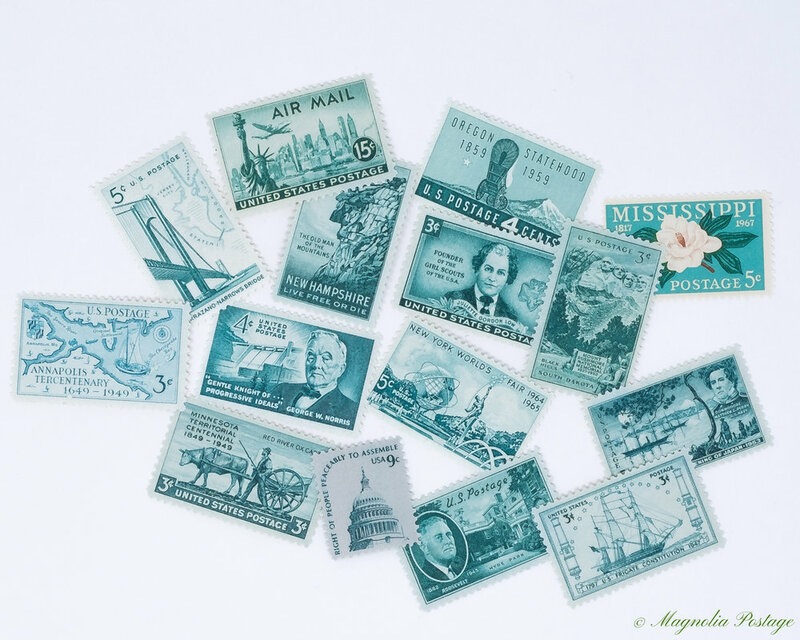 I use green more than just about any other color when it comes to styling vintage stamps for wedding invitations. 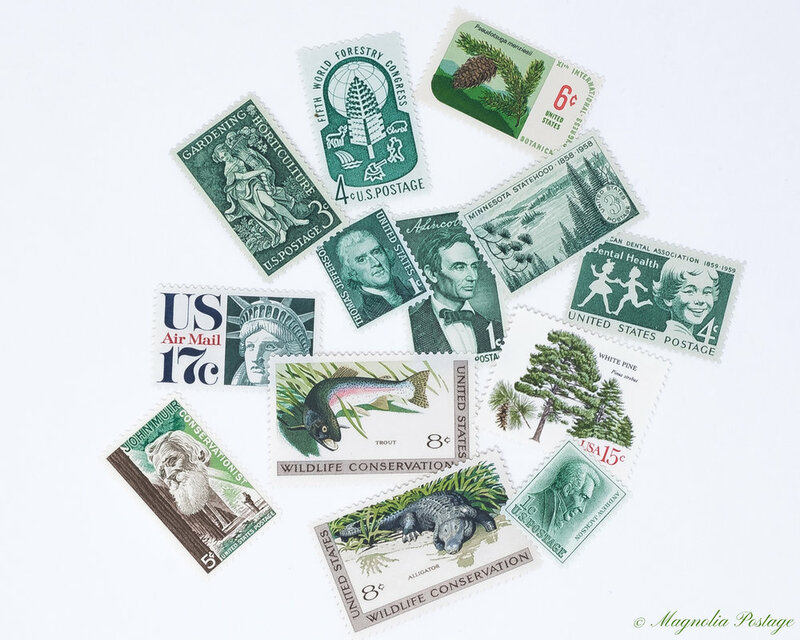 The options and themes that can be pulled from the green stamps that have been released are seemingly endless: florals, trees, golf, fishing, nautical, Florida, New York, DC, South Carolina, Nevada, Minnesota, lakes, poets, authors, colonial history, and on and on… you get the picture. 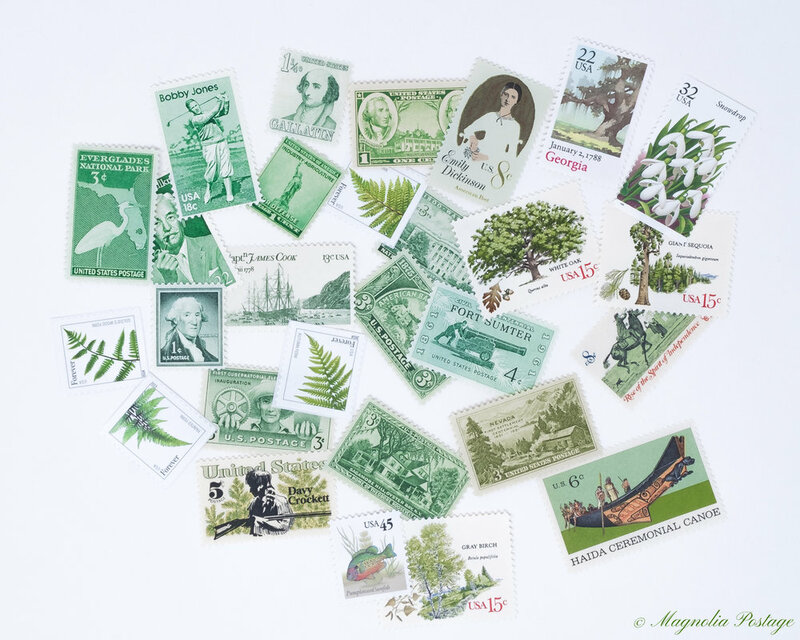 And what could be better than green vintage postage? Well, pink and green vintage stamps of course, but we’ll cover that another day.